Since Windows is the most popular operating system around, most of the games and software that are out there are available only for the Microsoft-made platform. While Mac has some great offerings to its users in this department, Linux users often miss out on the amazing games and applications its competitors can run. 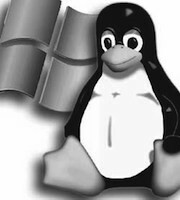 The Windows monopoly has successfully managed to keep all the best applications to its continually thriving platform, thus thwarting many Linux-curious users from making the switch. That said, it doesn't mean that it’s impossible for switchers to enjoy the same features that their Windows-loving friends enjoy. Thanks to relentless efforts of thousands of developers, Linux has managed to bolster itself using the hundreds of alternative software like GIMP and LibreOffice, thus making it a viable choice for anyone looking for something apart from Windows. 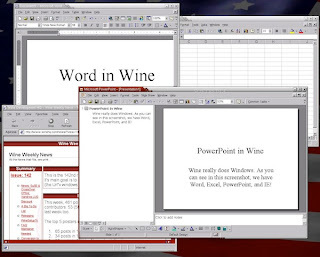 Wine is perhaps one of the most popular software on the Linux platform. It’s the good old tool that lets you run all your favorite Windows applications and games on your breezy little Linux box. According to statistics found on Wine’s website, the free software has over 1.5 million users worldwide. Wine is known for its ability to run famous games like StarCraft, Left4Dead, Guild Wars, and Elder Scrolls: Oblivion. Also, the open-source tool can run Adobe Flash CS3, Adobe Photoshop CS3, MediaMonkey and many other Windows-based software. A good place to know whether your app is compatible or not is to look up the AppDB. To download Wine, simply go to the downloads page HERE and grab the one that works with your Linux distribution. PlayOnLinux is a Python-based software that helps users run Windows-based games and applications on your Linux computer. The application, apart from letting you play the latest games on your Linux desktop, also lets you install and run many software that are actually designed for Windows. PlayOnLinux uses the aforementioned Wine to run all the needed applications thus providing outstanding compatibility with most Windows-based software. The biggest advantage that PlayOnLinux has over Wine is the fact that it makes it easy for new users to install their favorite games and applications in a neat, guided manner. In fact, if you are a new user just embarking on your journey to Linuxland, I’d recommend you to go with PlayOnLinux instead of Wine. Though this amazing piece of software can run many of the popular applications, don’t expect it to work well with every software that comes to your mind. Also, as compared to Wine, PlayOnLinux is relatively new, and, even though it is based on Wine, you might encounter some glitches here and there. To install PlayOnLinux on Ubuntu, type in or paste the following commands in your terminal (Ctrl + Alt + T). If you’re on any other distribution, feel free to head over to the downloads page. Developed by CodeWeavers, Crossover is a polished version of Wine that is designed for users who are looking for something more solid and professional. The proprietary software lets you run all your favorite Windows-based games and applications on Linux, and it also provides technical support in case you hit any brick walls. The license for Crossover costs about $60 with which you get 12 months of phone and email support along with upgrades. To download/buy Crossover, simply head over to their main website HERE. Wine is still beta in terms of its capabilities because it requires so much work to support vital MS applications and because of some license restrictions. Hi, Thanks for you article! do you know when will be possible use Itunes or another software to manage an iphone?